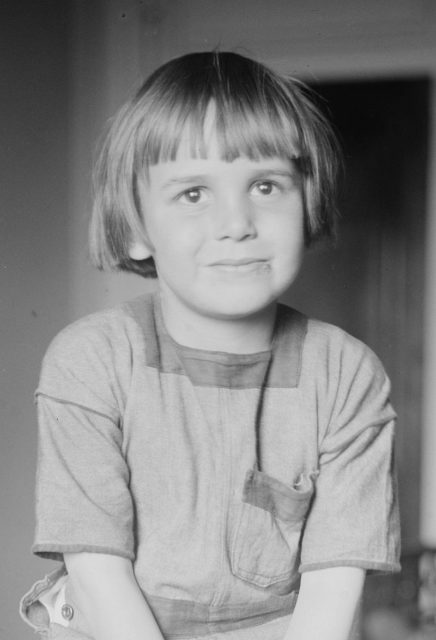 Charlie Chaplin’s film classic The Kid (1921) made Jackie Coogan one of the first child stars in film history. Many years later, he became known as Uncle Fester on the 1960s sitcom The Addams Family. In the interim, he sued his mother and stepfather over his squandered film earnings and provoked California to enact the first known legal protection for the earnings of child performers, widely known as the Coogan Act. He was born as John Leslie Coogan in 1914 in Los Angeles, California, to John Henry Coogan, Jr. and Lillian Rita (Dolliver) Coogan. He began performing as an infant in both vaudeville and film, with an uncredited role in the 1917 film Skinner’s Baby. Charlie Chaplin discovered him in the Orpheum Theatre, a vaudeville house in Los Angeles, on the stage doing the shimmy, a popular dance at the time. Coogan’s father was also an actor. 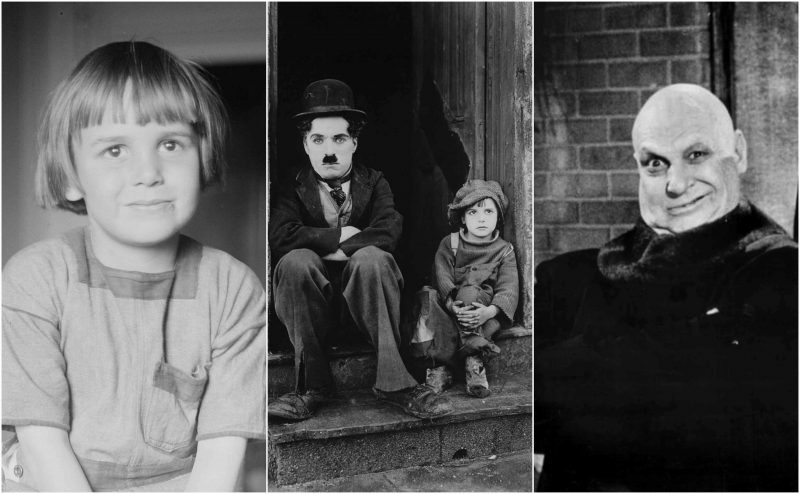 Jackie Coogan was a natural mimic and delighted Chaplin with his abilities. Chaplin cast him in a small role in A Day’s Pleasure (1919). He was Chaplin’s irascible companion in The Kid (1921) and the following year played the title role in Oliver Twist, directed by Frank Lloyd. Coogan was one of the first stars to be heavily merchandised. Peanut butter, stationery, whistles, dolls, records, and figurines were among the Coogan-themed merchandise on sale. In November 1933, Brooke Hart, a close friend of Coogan from Santa Clara University, was kidnapped from his family-owned department store in San Jose and brought to the San Francisco area San Mateo–Hayward Bridge. After several demands for a $40,000 ransom, police arrested Thomas Thurmond and John Holmes in San Jose. Thurmond admitted that Hart had been murdered the night he was kidnapped. Both killers were transferred to a prison in downtown San Jose. A mob broke into the jail, and Thurmond and Holmes were hanged in a nearby park. Coogan was reported to be present and had held the lynching rope. As a child star, Coogan earned an estimated $3 to $4 million, but the entire amount was spent by his mother and stepfather, Arthur Bernstein, on fur coats, diamonds and other jewelry, and expensive cars. Coogan’s mother and stepfather claimed Jackie enjoyed himself and simply thought he was playing before the camera. She insisted, “No promises were ever made to give Jackie anything,” and claimed he “was a bad boy.” Coogan sued them in 1938, but after his legal expenses, he received just $126,000 ($2,120,000 in 2016) of the $250,000 remaining of his earnings. 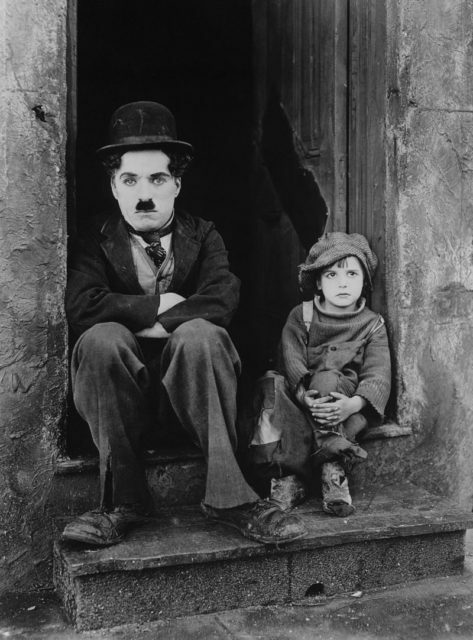 When he fell on hard times and asked Charlie Chaplin for assistance, Chaplin handed him $1,000 without hesitating. When Coogan turned 21 in October 1935, his fortune was believed to be well intact. His assets had been conservatively managed by his late father, who died in the car accident less than six months earlier. Bernstein had been a financial advisor for the family and married Coogan’s mother in late 1936.